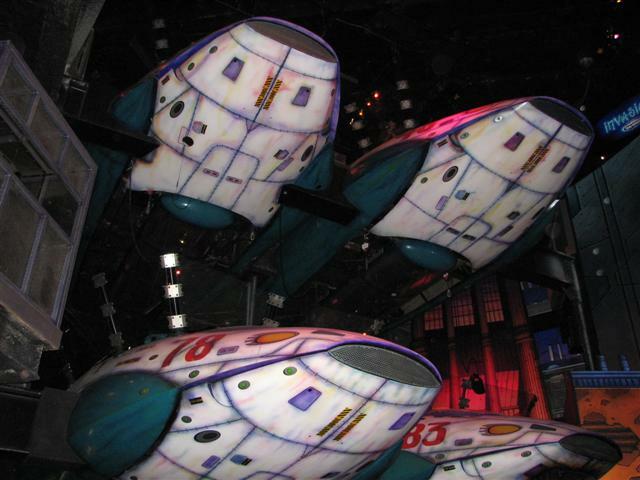 Disney Quest contains several virtual reality attractions, classic and recent arcade video games, web terminals, and a Cheesecake Factory cafe. It is popular as an area where parents can bring their kids to run around without them getting lost, or a place to go when the weather is bad. 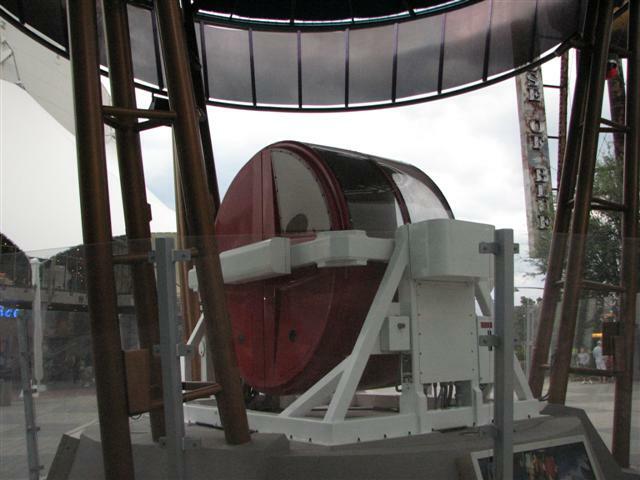 It is also popular with locals, who can get an annual pass for less than the cost of three daily admissions. Disney Quest is rumored to be closing in 2008 to make way for an ESPN Zone. Disney denies this and Cast Members working at Disney Quest report hearing nothing about the site closing. 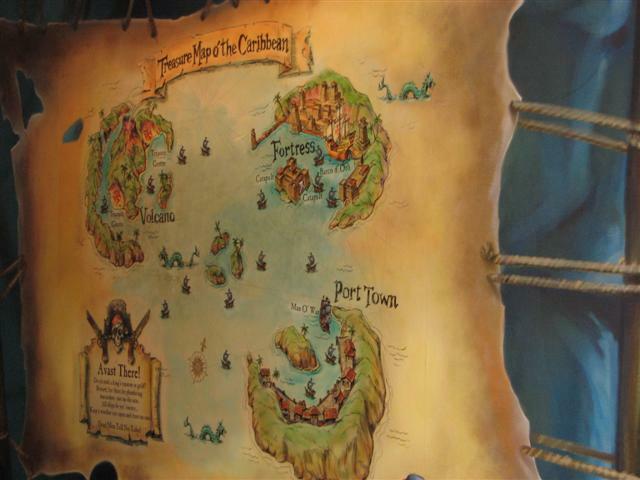 The Disney Quest project was designed as a way for the Disney brand to reach populations who may not have the chance to travel to its various theme park destinations. It was meant to target large cities and urban areas. Had the project continued, Disney had plans to construct locations in most major cities in the United States. 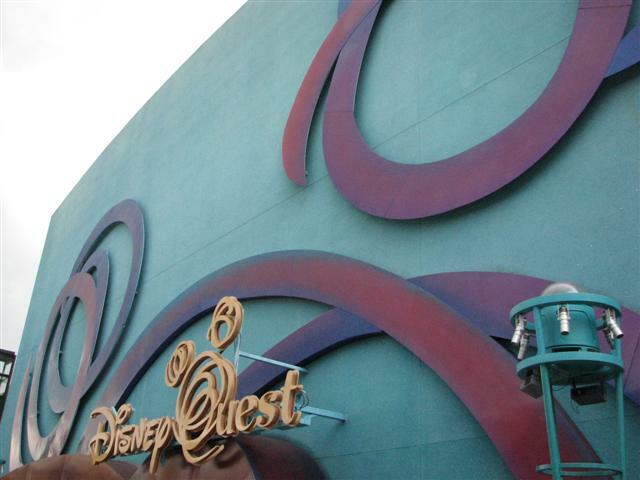 The second Disney Quest was built and opened in Chicago, but it was permanently closed on September 4, 2001 due to low attendance. 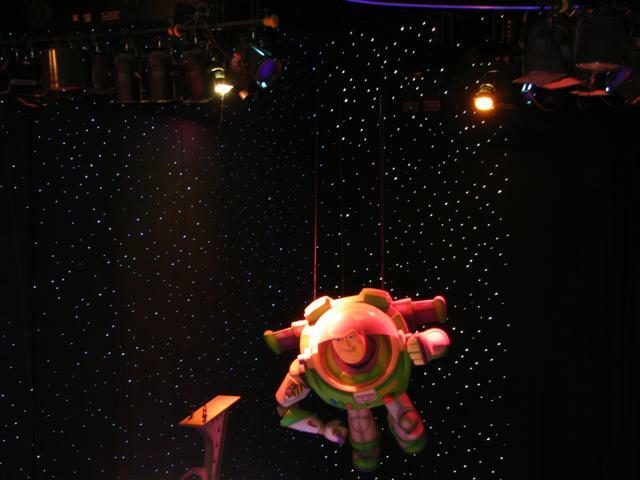 After the failure of Disney Quest Chicago, the Disney Quest project was officially brought to an end. 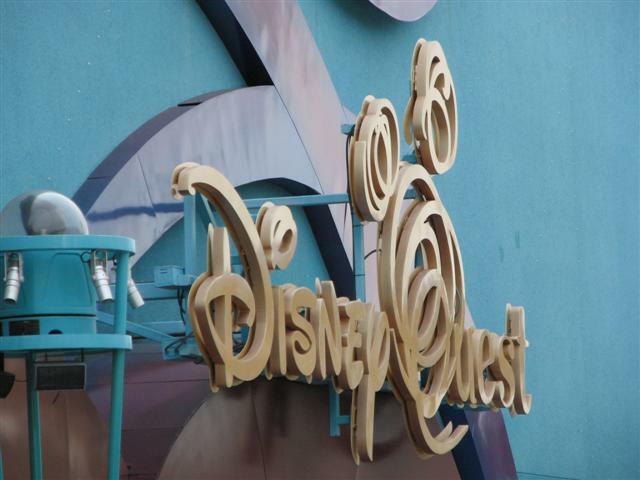 Construction that had begun on a Disney Quest in Philadelphia was scrapped, and a Disney Quest at Disneyland Resort in California never proceeded past the planning stage. 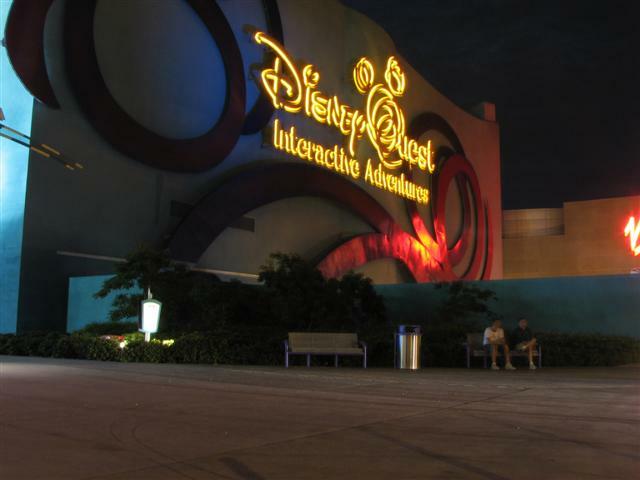 After the closure of the overall project and the Chicago location, Disney Regional Entertainment, which operated Disney Quest, turned over control of the remaining location to Walt Disney World operations. The locations were to be moderately identical concerning layout and attractions. 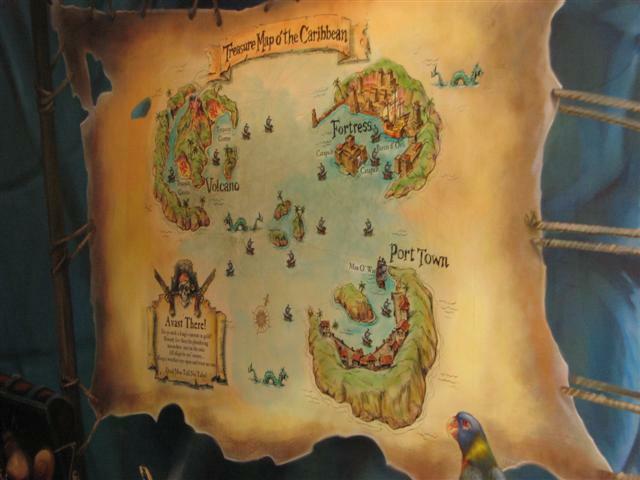 This was so the various locations could contribute financially to new attraction designs (which cost in the range of several million USD), thereby reducing the cost that each location has to foot itself. 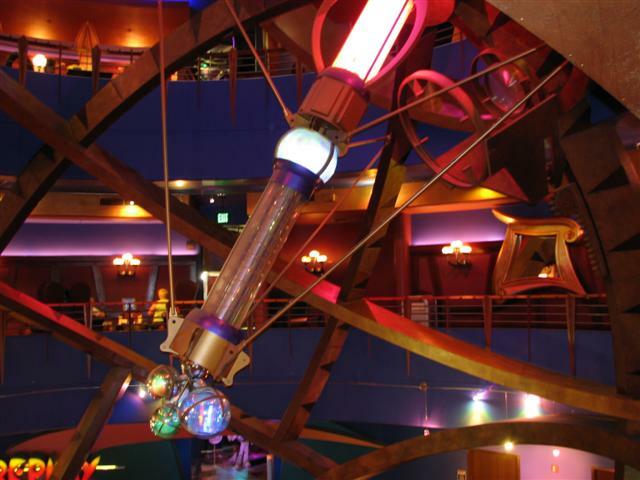 The attractions at Disney Quest are of a modular design, so that they could be easily replaced and updated. Originally, the idea was that no attraction would ever go unchanged for more than two or three years. However, after the Chicago location and the Disney Quest project overall were closed, the one location in Florida has been unable to financially merit a complete attraction overhaul. 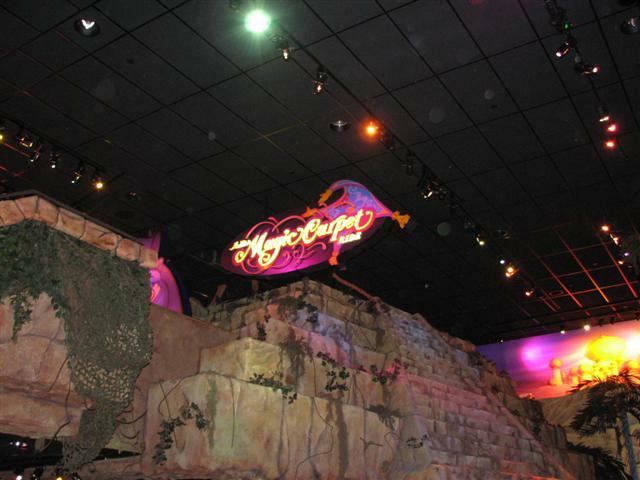 The only time an attraction has been changed out was in preparation for the opening of Disney Quest Chicago. 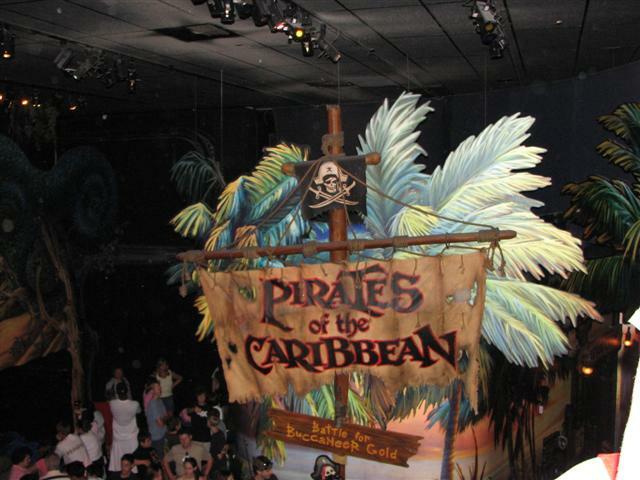 An attraction based on the Disney version of Hercules was replaced with Pirates of the Caribbean: Battle for Buccaneer Gold. 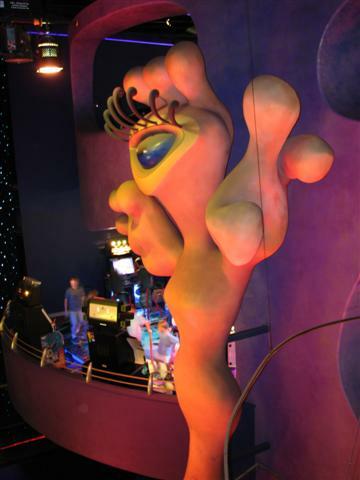 The Genie from Aladdin is an unofficial mascot of Disney Quest. Upon entering at ground level, one is brought by an elevator (here called a "cybrolator," containing a short animation of Genie welcoming you) up to the center of the third floor (the "Ventureport"), where one's visit begins. He is also heard on the end-of-day closing announcements. 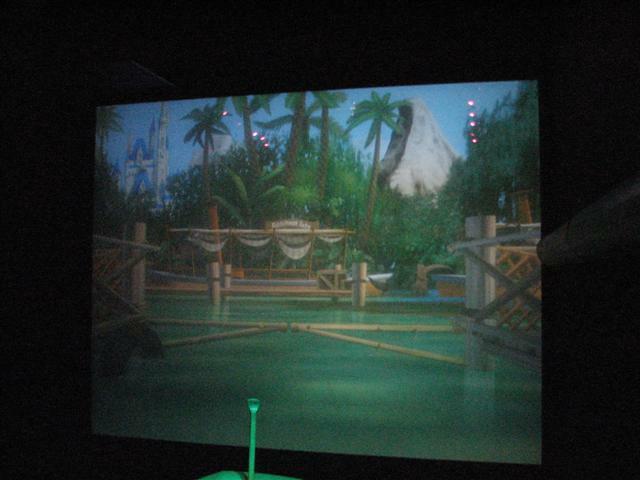 Pirates of the Caribbean: Battle for Buccaneer Gold: Stand on the deck of a small pirate ship while wearing 3-D goggles; one player mans the wheel and controls the ship's motion, while the other players run back and forth to fire the cannons at other ships and sea monsters. 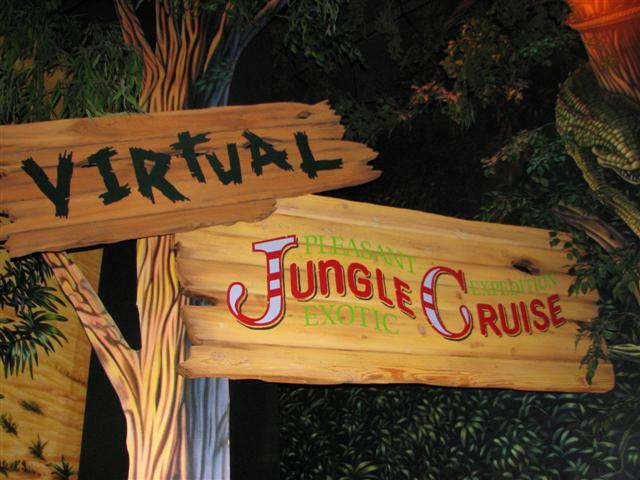 Virtual Jungle Cruise: Paddle an inflatable raft (with real paddles) as you make your way down a prehistoric river, avoiding dinosaurs and occasionally getting sprayed with water. 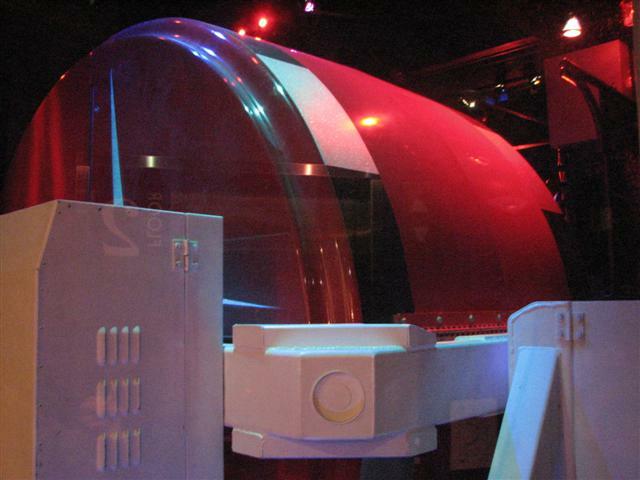 Cyber Space Mountain: Guests may design a rollercoaster on a design kiosk, then sit in a pitch-and-roll simulator and "ride" it. 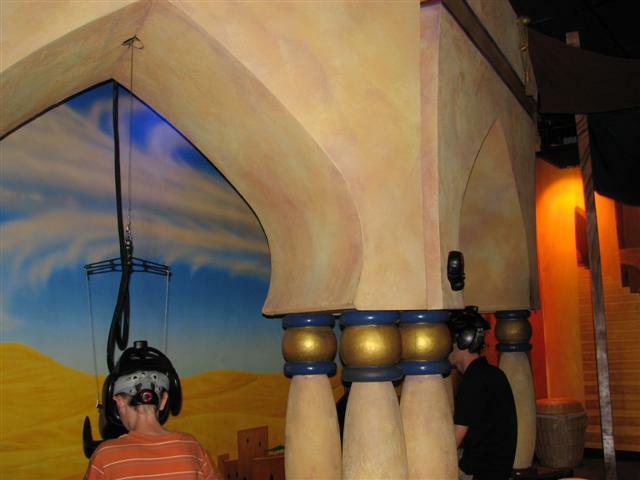 Aladdin's Magic Carpet Ride: Players wear an HMD as they ride a magic carpet through Agrabah, collecting gems to defeat Jafar. Animation Academy: Regular sessions throughout the day teach how to draw characters (with light pens on computer screens), or how to create simple animations consisting of a few frames. For a fee, a guest can purchase a printout afterwards. Sid's Create-a-Toy: A program featuring the evil Sid character from Toy Story that allows one to custom design a toy out of parts of other toys. Living Easels: An interactive touch screen program where guests can place various images onto several selectable backgrounds. A full-color printout of a guest's design may be purchased. Radio Disney Song Maker: Where you can create your own song, and then buy it later. 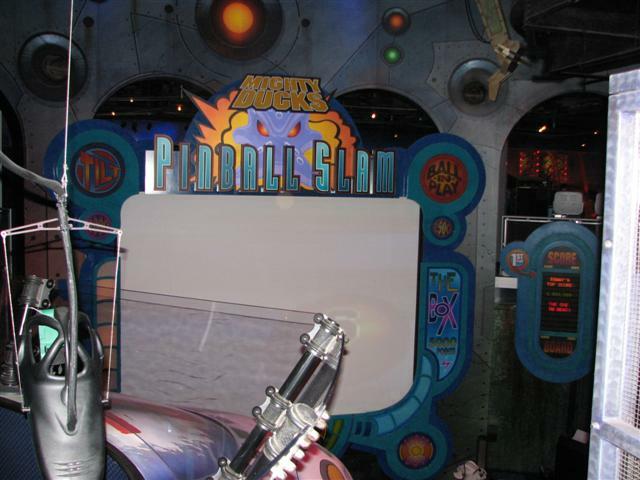 Mighty Ducks Pinball Slam: By rocking their "duck" back and forth, up to twelve players at at a time control their corresponding pinball on the screen, attempting to collect the most points. 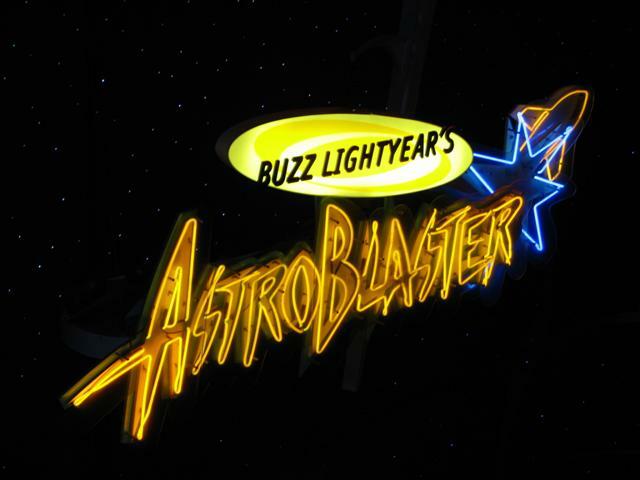 Buzz Lightyear's Astro Blasters: Players board bumper cars and attempt to navigate over foam balls on the floor. By doing so, the balls will be sucked up into the cabin where players can then load them into a cannon and shoot at the other cars. If hit in the correct spot, one's car may spin around uncontrollably for several seconds. Usually there are two players to a car, however, it is possible for one person to pilot and shoot at the same time. 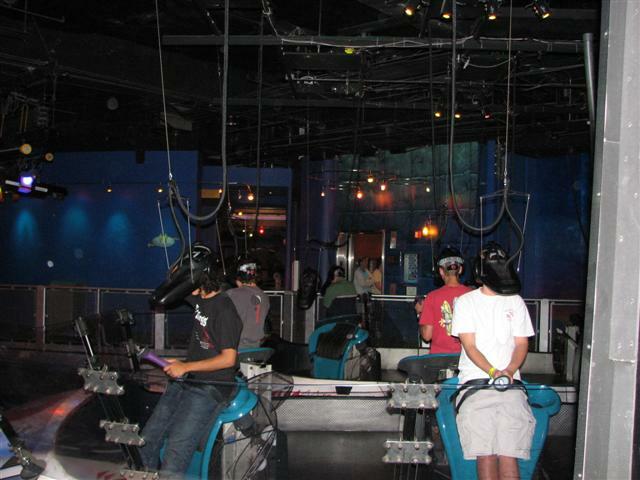 Ride the Comix 4: Players wear an HMD to "enter the comic book world." Players battle with super villains by using a laser sword. Up to six players can be on a team at a time. As of early 2011, Ride the Comix 4 has been "overtaken by villains" and is in service only on days where the building is near capacity. However, guests can still play Ride the Comix on the 5th floor directly above. Ride the Comix 5: Players wear an HMD to "enter the comic book world." Players battle with super villains by using a laser sword. Up to six players can be on a team at a time. Invasion! 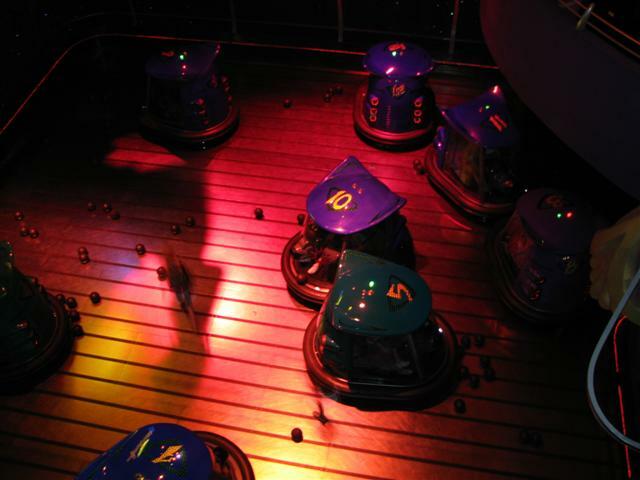 An ExtraTERRORestrial Alien Encounter: Four players ride inside a rescue vehicle to save astronauts: one player drives, the other three shoot down enemy aliens. 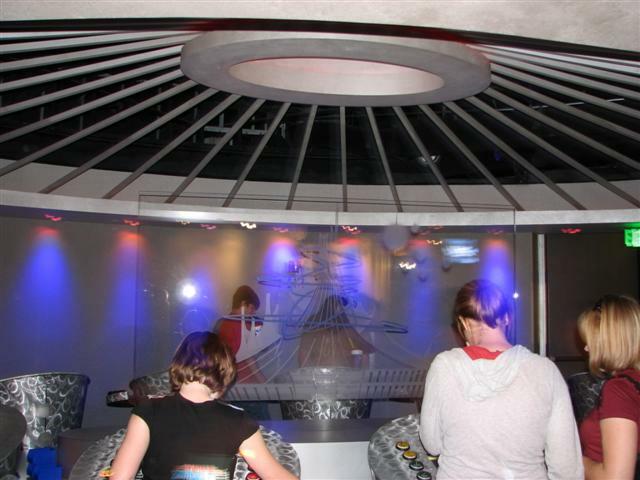 Based on the now-extinct Magic Kingdom attraction, ExtraTERRORestrial Alien Encounter. The corkscrew "Cave of Wonders Slide", 150 feet (46m) long, took guests from the third floor to the first. 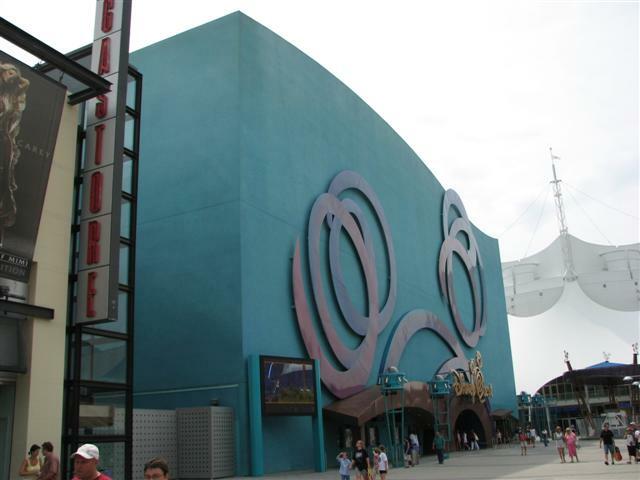 It was closed in Disney Quest's first year of operation. In "Treasure of the Incas", players could drive small remote-control toy trucks through a maze in search of treasure. Along a wall were stations with a steering wheel and a video screen by which to drive the truck; the floor of the room was clear plastic through which friends could see the trucks driving around so that they could shout directions to the driver. The clear flooring and mazes can still be seen near the Virtual Jungle Cruise area, adjacent to the Safari hunting games. At "Magic Mirrors", once located on the second floor in the create zone, guests could take a picture of themselves and then edit their faces to appear like cartoons. The attraction closed in 2005 and has since been converted to seating. A team game, "Hercules", was once one of the most popular attractions in the building. This game took 6 guests who would each control their own character from Disney's Hercules with a joystick. The object of the game was to collect lightning bolts and defeat Hades. 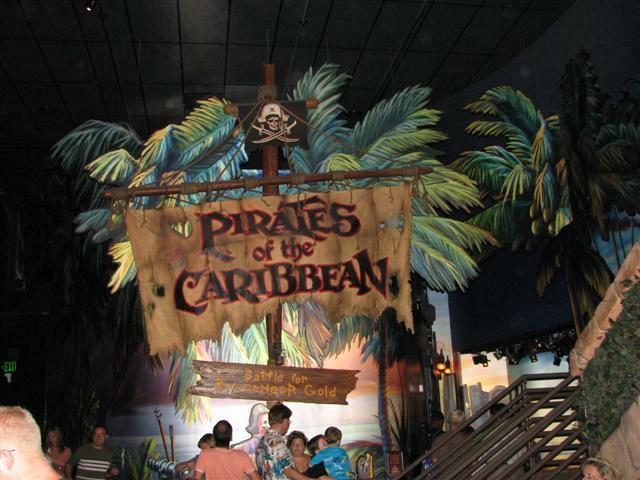 This attraction was replaced with "Pirates of the Caribbean: Battle for Buccaneer Gold". Classic arcade games such as Pac-Man, Asteroids, Tron, BurgerTime, Zaxxon, Pengo, BattleZone, Kangaroo, Berzerk, Donkey Kong Jr., Joust, Robotron, Star Wars, Marble Madness, Moon Patrol, and many others. Arcade games from the 1990's and 2000's such as an eight-player linked Sega Daytona USA, a four-player linked San Francisco Rush 2049, a four-player linked Sega OutRun 2, an old Dance Dance Revolution (1st mix USA), Pump It Up: Exceed 1 & 2 machines, a number of fighting games such as Tekken 5 and Marvel vs. Capcom, a Sega Brave Firefighters, three Sega Star Wars Arcade machines, four-player linked Mario Kart Arcade GP cabinets, several sports arcade games, and many others. Skeeball, "shoot-the-hoops," and other games of skill. Upcoming games from Disney Quest are the 4-player Wangan Midnight Maximum Tune 3 DX+, a single deluxe Motor Raid cabinet and a Dance Dance Revolution Solo 4th Mix cabinet. Disney Quest features two quick service restaurants. 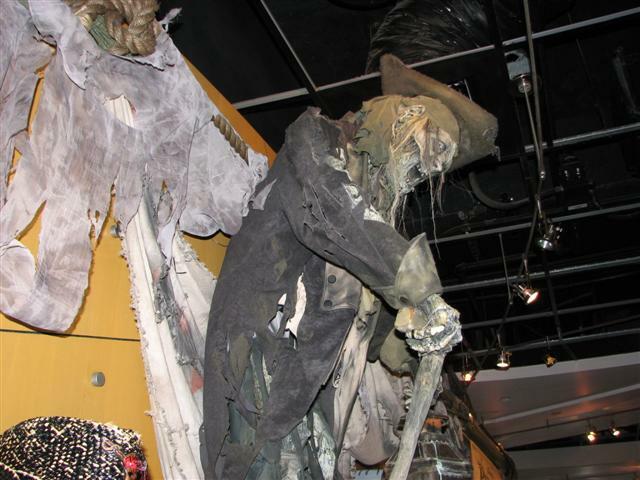 On the fourth floor, the Wonderland Cafe features desserts, drinks, and grab and go food items. On the fifth floor, food is served at Food Quest, which offers burgers, chicken, wraps and sandwiches, pizza, and salads. 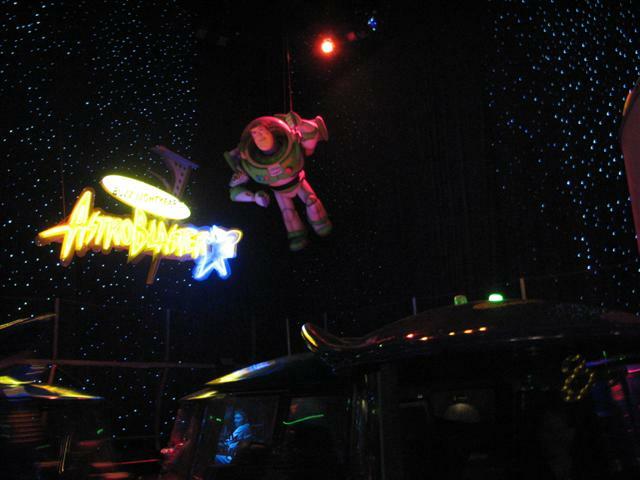 As of fall 2008, alcohol is served on the fourth floor in the Wonderland Cafe area. Both the Cheesecake Factory restaurants were closed at the end of May 2008 after the Cheesecake factory's contract expired. Then reopened June 2008 by the Food Quest, Disney owned and operated quick services. Except for prize-play (claw) machines, all games and attractions inside Disney Quest are free after admission is paid (DisneyQuest 1 Day - $43.67 (Ages 10+); $37.28 (Ages 3-9); children under 3 are free). Depending on daily attendance levels, late-night tickets are sometimes sold for half-price two hours prior to closing each night. 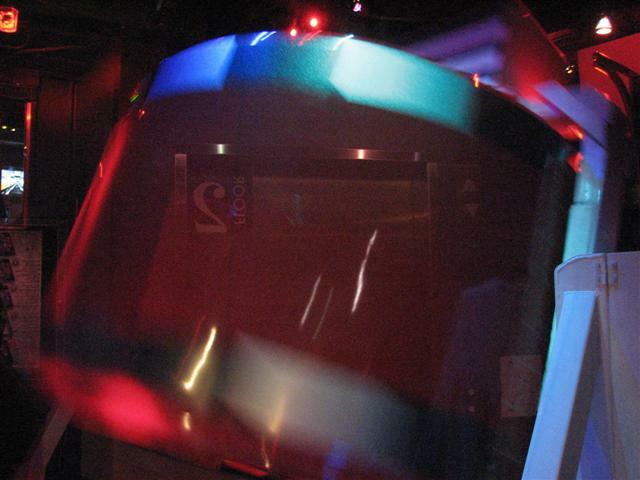 When Disney Quest was first opened it had a lower admission fee but each attraction and game required a player to swipe a card to pay "credits" for it, and the card could be "recharged" by putting it and some money into a recharging station, similar to Dave & Buster's gaming restaurants. 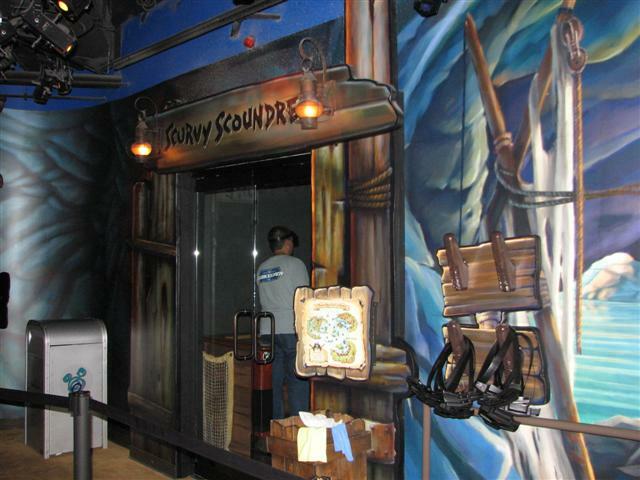 This was greatly unpopular with parents, however, who didn't like that there was nothing to do once they stopped spending money recharging the cards, so DisneyQuest moved to a single flat fee for entry. The old card swipe consoles can still be found on many of the attractions, even though they now have little or no purpose. 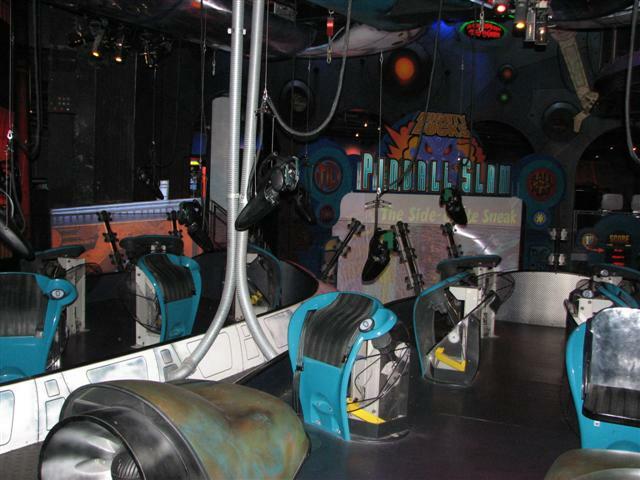 Disney Quest also used to have a redemption area that would cost extra ("Midway on the Moon") on the fourth floor where players could exchange tickets won at games of skill for various prizes, but it was closed in 2005. Certain attractions have souvenirs available for purchase in the second floor Guest Gallery. 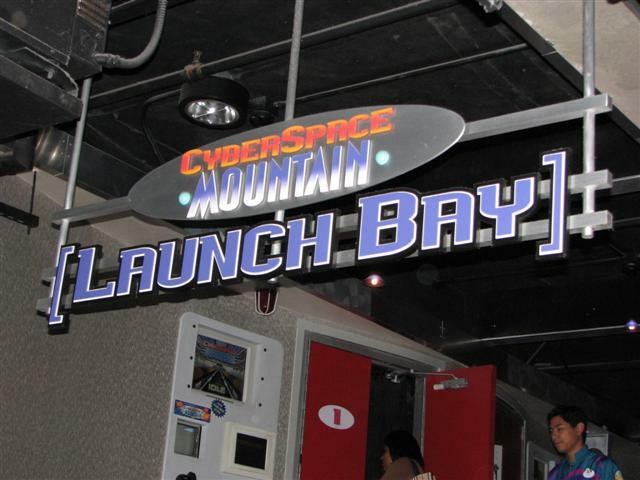 Cyberspace Mountain has an available video of the created roller coaster, with footage of the guests riding the attraction. The Animation Academy, Sid's Create-A-Toy, the Living Easels and Radio Disney Song Maker all offer the option of purchasing created items.